Support - Home of Up & Down Theatre Company. Like Up & Down? Why not throw us some bones? We're proud to be fiscally-sponsored artists of Fractured Atlas! 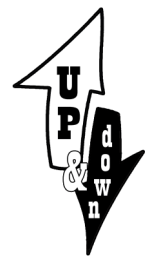 Click this logo to make a tax- deductible donation to Up & Down! We rely on the support of philanthropists like you to make it all happen. Thank you. Help us keep our heads above water, metaphorically speaking.